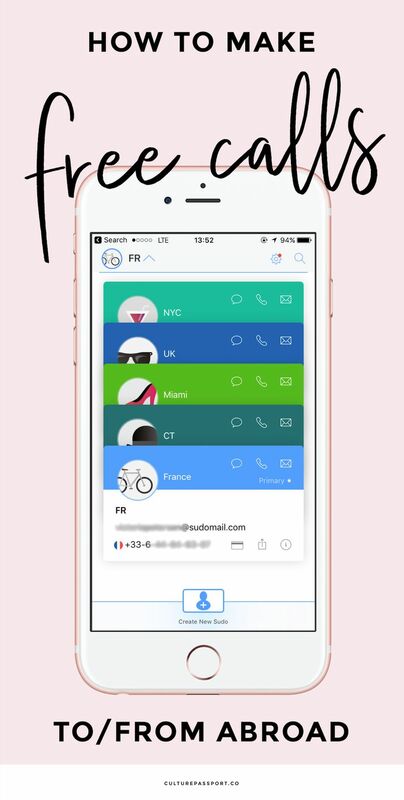 I discovered an app this summer which I think will be super useful for anyone who travels between the US, France, Germany, the UK or the US. 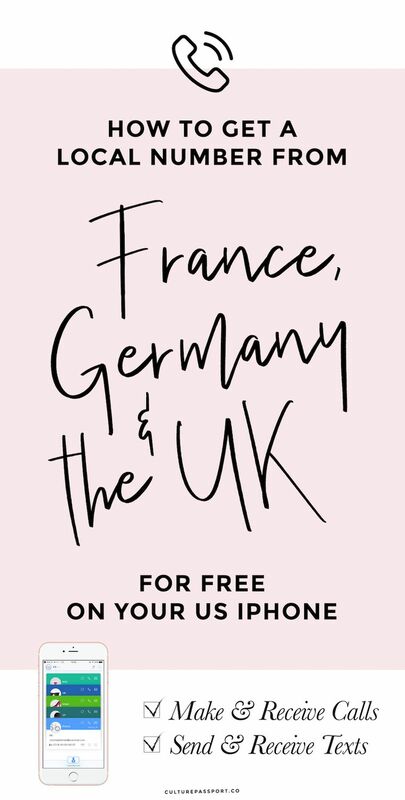 Not only does it offer free calls between all these countries using only wifi or cellular data, but you can also receive calls using a number from all of these countries to a local number (+33, +49, +44, +1, etc.). You can store up to 9 different numbers on the same app as long as you like – all for free! 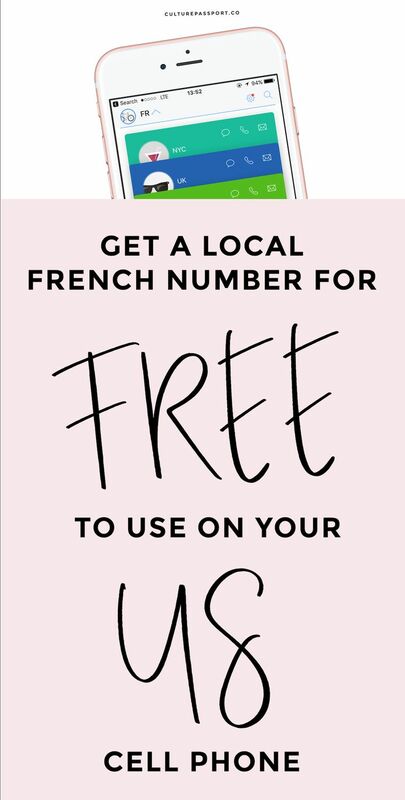 September 2018 Update: Unfortunately, the app recommended in this article no longer offers a free French phone number. MySudo, which offers US, UK, and Canada phone numbers is only free for 1 year, and then you must pay for the numbers you are using! The app is called Sudo and you can get it for free in the App Store. Now the only catch is that you don’t have unlimited talk time, but the allowance is pretty generous if you ask me. Each month, you get 20 hours of talk time, which I think is more than enough for basic phone calls while abroad. Not only can you make calls, but Sudo also allows you to receive and send text messages with these numbers, too! Need to make a restaurant reservation abroad? Call to inquire to a foreign company? Newly an expat and need to sort out your move with local businesses? Met someone abroad who you don’t want to give your personal number to? Each of these scenarios can be solved with Sudo. When there was a leak in my bathroom, I had the handyman call me on my French cell number on Sudo to save him the charges of calling an American number. 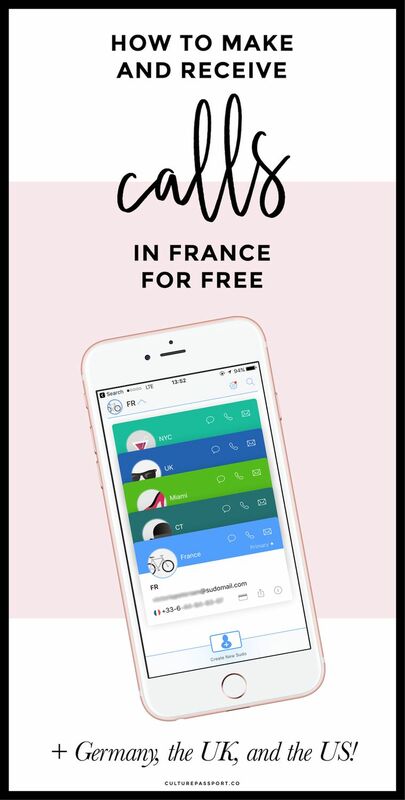 This app has been a lifesaver for me while abroad, and I hope it helps you too! This sounds great. Thanks for the info!